As a business owner, you know that first impressions are everything. It follows that your property’s landscape is fairly important—especially because it’s the first thing many of your customers will notice when they visit. Ensure that first impression is a good one with help from McAfee Mowing and Landscaping, Inc, your partner in commercial landscaping. In Kentucky, we’re committed to serving businesses in need of professional landscape care. Your business deserves a landscape that represents its image. It can be difficult to show prospective clients that you’re serious about what you do when your lawn doesn’t match your ethics. After all, who wants to patronize a store or service with an unkempt lawn and dying plants? But when you leave the work of regular maintenance to our landscape company, it’s easy to focus on delivering outstanding customer service. McAfee is there for business owners that don’t have the time, energy, or equipment needed to keep their lawns immaculate. We’re business owners, too—that’s why we’ve devoted ourselves to minimizing your stress with commercial landscaping services. Now you can focus on developing your services, maximizing profits, and serving the customers that make your business successful. In the past, many business owners had to resort to contracting with several different landscape services to get the help they wanted. Now, you can find all the services your lawn needs in one convenient location. Read on to find out more about our primary services, and be sure to reach out with any questions or concerns. Commercial Landscape Maintenance: When your lawn looks good, so does your business. Sit back and relax as our landscape contractors handle watering, trimming, mowing, and other routine chores. Be sure to mention any personal preferences you’d like us to observe when we tend to your lawn. Commercial Landscape Design: Nothing shows customers that you mean business like a unique and flattering design. Whether you’re approaching your lawn for the first time or simply ready to change things up, our landscape designers are ready to collaborate. Commercial Irrigation Installation: Your grass and shrubbery will stay green and healthy with regular watering. Watering is simpler when you have a dedicated sprinkler system. Along with sprinklers, we specialize in working with retaining walls and rain gardens. 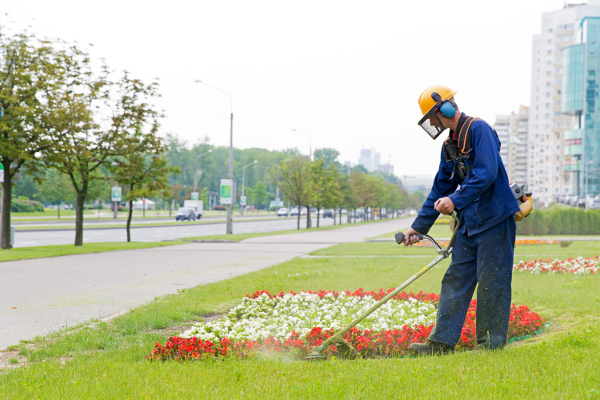 Contact our commercial landscaping team to find out what we can do for your lawn and greenery. We proudly serve clients throughout Central Kentucky.